Courtney and Jaren came over for dinner after church yesterday so we were all together and ate out on our deck in the backyard, it was good family time and a good dinner! 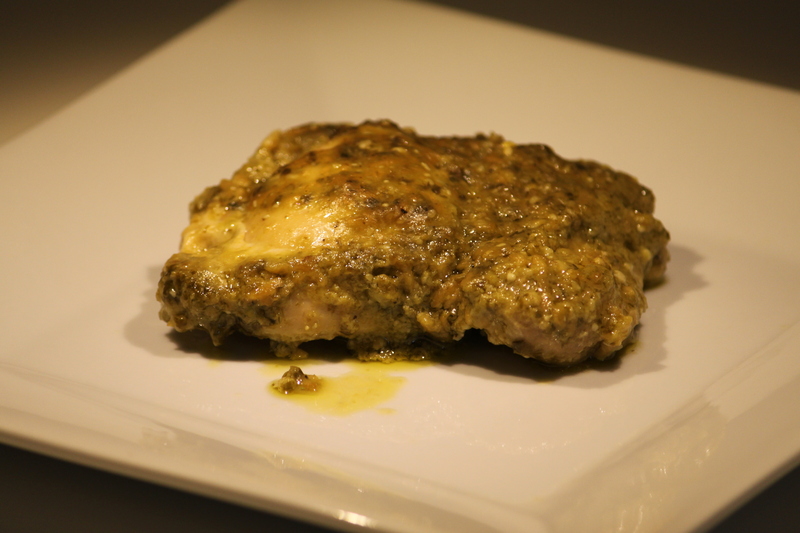 This chicken recipe comes from a blog called “Picky Palate”. It has all the qualities of a recipe I love – easy to make, quick to make and delicious! Place chicken thighs, pesto, Ranch dressing mix and chicken broth in crock pot and stir gently to combine all seasonings. (I put the chicken in then mixed together the pesto, Ranch and broth and then poured it over the chicken.) Cook on high 3 – 4 hours or on low 6 – 8 hours.